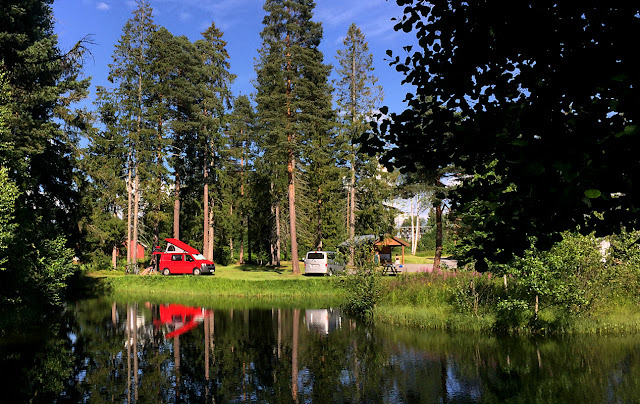 A very idyllic camping right by the Telemark Canal in the Southern part of Norway. A super stay on a fine summerday as here. To the left our own little caravan placed next to the shores of the Telemark Canal. 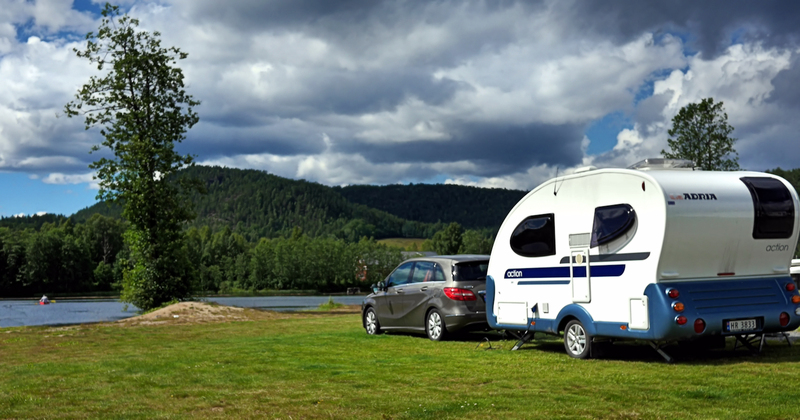 A good choice for traveling around with its small size and easy to tow around. Even so later in the season we decided to sell our small caravan.